Now that we have officially turned the page to the 2019 recruiting cycle, its time to do the first Big Red Recon focused on that group. If you missed last week's Big Red Recon where I gave some of the behind the scenes information on what really happened with certain prospects, check that here. As Bill Belichick would say, "we're on to 2019." 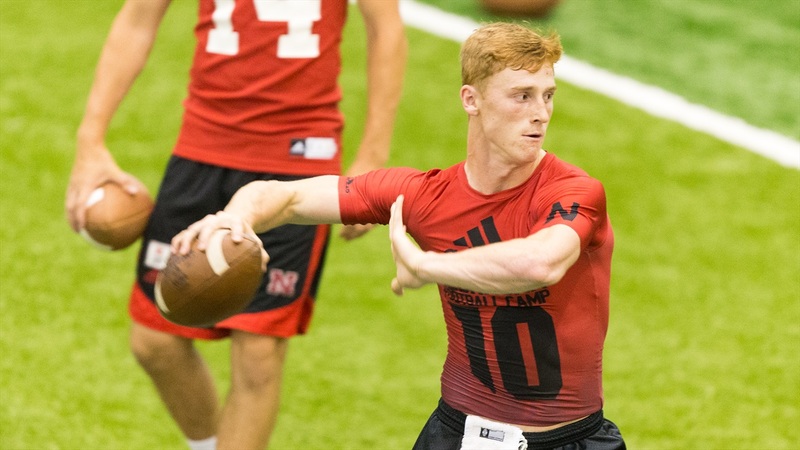 >>The #1 2019 Greg’s Guy, 4-star QB Max Duggan‍, is one of the most sought after quarterback prospects this area has seen in a long time. The Lewis Central (Council Bluffs) prospect has received visits from James Franklin and other top coaches around the country but there is an interesting connection that may help the Huskers. When I first heard that Erik Chinander had been to Duggan’s school, I found it a bit odd since he’s the defensive coordinator, but it turns out that he knows several people at Lewis Central which can only help Nebraska. Scott Frost and quarterbacks coach Mario Verduzco have also been by Duggan’s school as well. He will be looking to set up visits soon, but Duggan still wants to make a spring decision and right now Nebraska is in good position. >>I have confirmed a visitor for this weekend. 3-star ATH/DE Ty Robinson‍ out of Higley High School in Gilbert, Arizona, will be in Lincoln. Robinson does have ties to Nebraska as his mom is from O’Neill, she went to Chadron State and they still have other family in state. Robinson has some impressive offers including Alabama and USC. I’m scheduled to have a full interview with him after the visit. >>Speaking of relationships, there was one that went completely under the radar during the 2018 recruiting cycle. Defensive end signee Tate Wildeman‍ has a connection to the new staff. Offensive analyst Frank Verducci coached Tate’s dad while at Iowa. Having that previous relationship helped the Huskers withstand a late charge from a couple of other schools, including an official visit to Washington State. >>I’m hearing rumblings that we should not expect to see center Michael Decker or safety JoJo Domann in the spring. Decker’s knee injury is said to have been worse than expected and Domann had an unknown setback. There is also a possibility that safety Aaron Williams will not be 100-percent ready to go by spring.